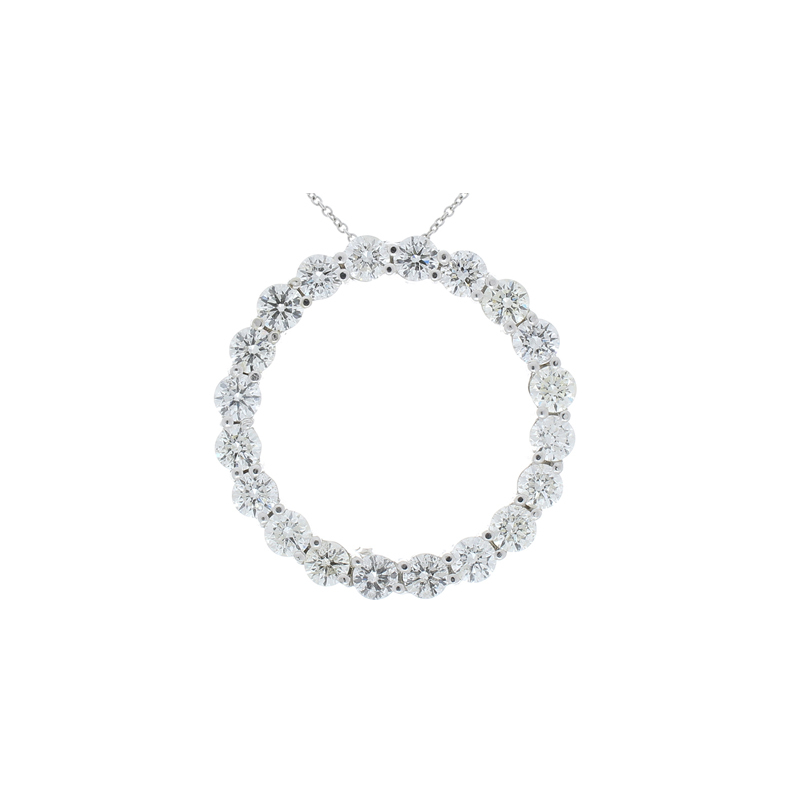 This circle pendant is blazing with fiery round brilliant diamonds. This piece is classic yet bold because of its size. Wear it with your favorite casual attire, or your dressiest dress. Thanks to the high quality 4.72 carat total of glimmering diamonds, it will look stunning with anything you choose. 14 Karat white gold is the metal of choice for this dazzling pendant which glides gleefully along a sparkling chain. This pendant accompanies with a 14 Karat , 18-inch bead chain of your choice of Rose gold, White gold, or Yellow gold.